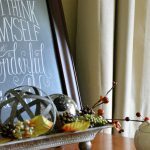 Enjoy the fragrant scent of fall in your home with this easy and natural DIY recipe. This post contains affiliate links, but as always, all opinions are my own. Don’t you just love fall? The season of fall is full of the most wonderful sights, sounds and scents. Now that September is here, I can’t help but notice the hints of rich color peeking out of the leaves. 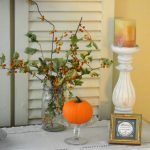 Mums appear on front porches, while children chatter at their bus stops, and stores are stocked with everything pumpkin. 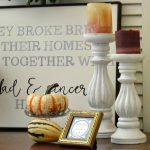 Bringing a little fall into your home is so easy with this natural DIY recipe. Using ingredients that you probably have on hand, you can create this fragrant recipe in your simmer pot. 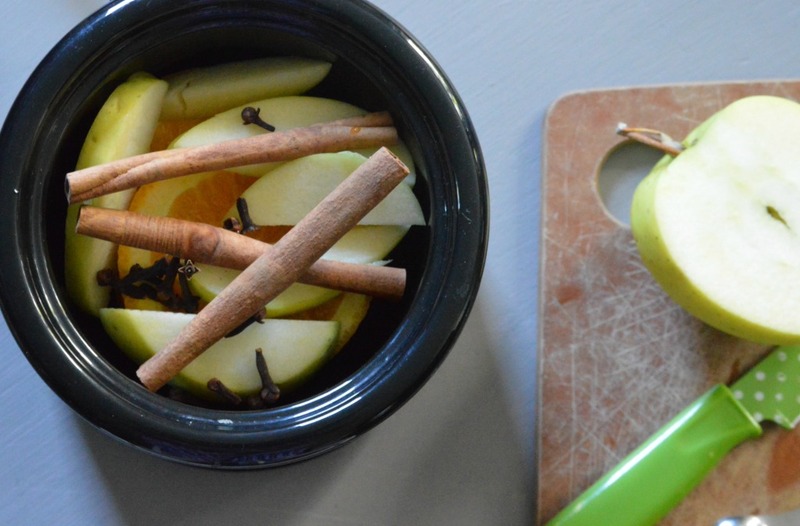 Begin with an apple, an orange, cinnamon sticks, and whole cloves. I like to use this Little Dipper Crockpot. This is such a great product because I can just plug it in and let it warm. 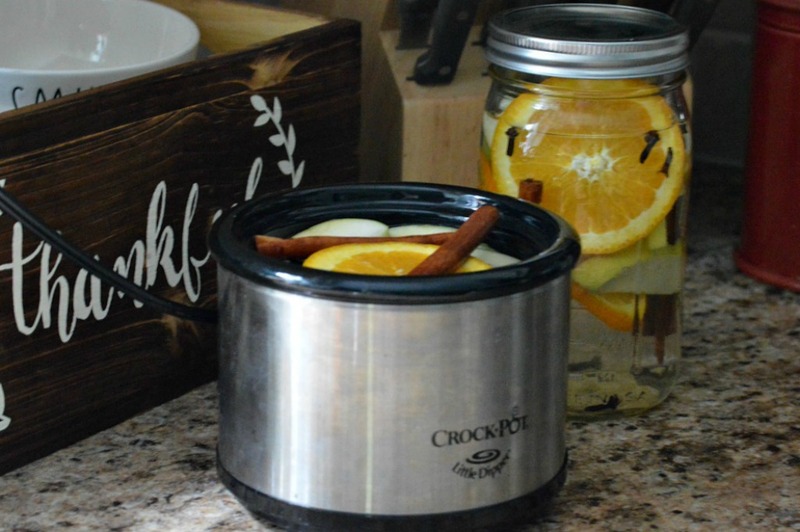 It is perfect for natural simmer pot scents, as well as fondue, dips, and sauces. Slice an apple and an orange. Put 1/2 of the slices into your simmer pot. Add 3 cinnamon sticks and a teaspoon of whole cloves. Then just let the combination simmer to create an amazing aroma in your home, naturally. 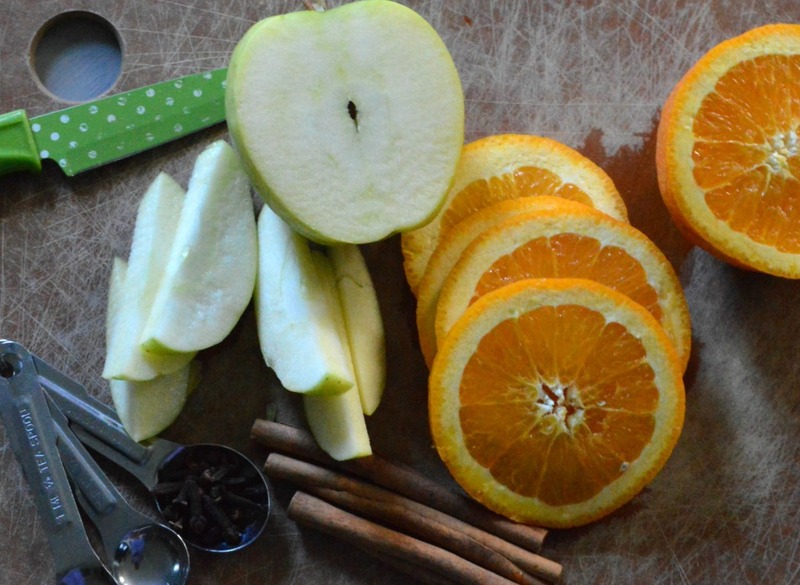 Slice up the second half of the apple and orange. Add cinnamon sticks, cloves, and water. Store this in a mason jar for next time. 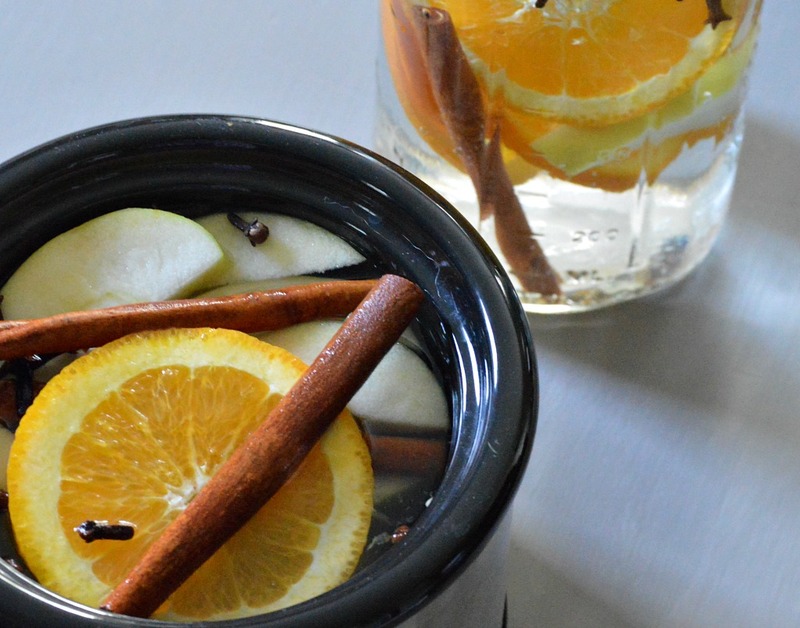 Your home will be filled with the scent of this wonderful combination of fruit and spices. Ahh…it’s a little like apple pie with a hint of citrus. 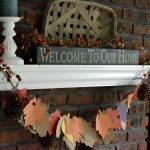 What are some ways you like to bring fall to your home? If you’d like to save this post for later, you can pin it here. I’ve got to try this. My favorite time of the year! I hope you enjoy this, Christine! Fall is such a beautiful time of year! Love this, I’ve done something similar in the past using cider instead of water. What a great idea, Bonnie! I will have to give that a try. 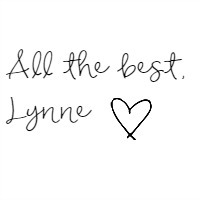 Wishing you a wonderful week! Creative and best part is eco-friendly.surely need to try this! Thank you…I hope you enjoy it! Wishing you a great week ahead! Simmer pots are such a great natural way to scent your home. I gave up the artificial ones a couple of years ago so its really nice to have some new scent ideas. Thanks for sharing.